"Can I claim back AJD tax from my earlier Extincion de Condominio?" It's usual when couples break up and they own a property at 50% -or in properties belonging to several heirs- that for various reasons one of the joint owners would want to sell his or her share and the other one would want keep the entire property. Said sale or purchase can be made effective through executing a Deed of co-ownership termination (Extincion de Condominio). 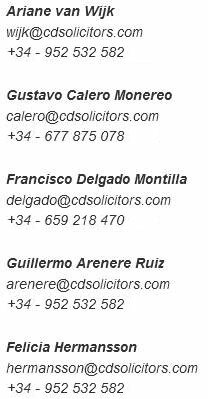 Over these deeds 1.5% AJD Tax (Actos Juridicos Documentados / Stamp Duty) is paid instead of the normal 8% ITP / Transfer Tax. There now is an important change that even lowers this AJD-tax and makes it possible to claim back money from the Spanish Tax Office. What is the Extincion of Condominio and what are its benefits? It's usual when couples break up and they own a property at 50% -or in properties belonging to several heirs- that for various reasons one of the joint owners would want to sell his or her share and the other one would want keep the entire property. Said sale or purchase can be made effective through executing a Deed of co-ownership termination (Extincion de Condominio). Co-ownership termination consists in transferring something that belongs to several owners, who agree to award it/sell it to one of them, with the other joint owner/buyer paying a price for acquiring the share that belonged to the others.Termination entails the end of joint ownership and this asset becomes the property of a single individual but it's only applicable to properties belonging to several owners, if they decide to sell everything to one of them. It wouldn't apply if the sale of this share goes to more than one owner, e.g. if there are three joint owners and two of them keep the other one's share. Termination of co-ownership offers one main advantage over a sale: the tax paid by the buyer to acquire this share of the property is significantly lower. While in Andalusia the tax on asset transfers for the purchase of a home is 8%, the tax paid for termination of co-ownership is 1.5%, as Stamp Duty (AJD Actos Juridicos Documentados). In other words, to benefit from the tax rate for co-ownership termination, there can only be one owner of the property in the end as, otherwise, this would be considered a normal sale and be taxed at 8% ITP Transfer Tax. 3 Couples have a joint property. 1 Couple sells their 33,33% on a 50-50 base to the other 2 couples. Both remaining couples pay 8% over their bought share because the property stays in co-ownership. 2 Couples have a property and 1 couple sells to the other couple that is married in separation of goods. They pay 8% ITP tax because the tax office sees this married couple as 2 parties. 3 Brothers inherit a property and 1 sells his part to 1 brother that then owns 66,66%. 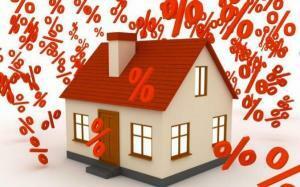 The buyer pays 8% ITP because there still is a co-ownership of the property. A married couple gets divorced or 2 non-registered partners end their relationship. One sells to the other, so there is no co-ownership anymore and the remaining owner pays 1.5% AJD over the bought 50% of the property. 2 Couples have a property and 1 couple sells to the other couple that is married in joint assets. They pay 1,5% AJD tax because the tax office sees them as 1 party. 3 Brothers inherit a property and 2 sell their part to 1 brother that then owns 100%. The buyer pays 1.5% AJD over the bought share of 66,66% because there still is no co-ownership anymore. Since 9 October 2018, thanks to a Judgment of the Spanish Supreme Court, the tax cost assessed for termination of co-ownership has been significantly reduced. Up to that date –incomprehensibly– the tax of 1.5% was paid on the entire value of the property, even if, for instance, the share transferred was just 50% of the property. However, with this judgment, a new approach is established, in which tax will only be paid according to the value of the share effectively being transferred, i.e. only on the price to be paid to the seller, thereby avoiding the extra cost that this type of transfer entailed when tax was paid for 100% of the property value, even if the share acquired was just 30%. Likewise, this change in taxation through the aforementioned judgment can have positive consequences on Deeds of Co-Ownership Termination executed within the last four years. Owners who were already joint owners of a property and acquired the rest by paying the price and paying 1.5% tax on the total property value can file a refund claim for undue payments before the corresponding Tax Office. The tax office of the Andalusia Council is the oficina liquidadora. They can claim a refund of the 1.5% paid for the share of the property they did not acquire, as they already owned that share. If they purchased 30% of the property two years ago and had to pay 1.5% of the total property value, they can claim a refund of the 1.5% paid for the 70% of the property they already owned when they purchased the remaining 30%. Important: You can only claim back any tax paid within the four years prior to the date of filing the claim for undue payments, as this is the maximum time period to file a claim in accordance with Spanish tax law. I.e. the submission date of the claim cannot be later than four years after the due date of this tax, which is 30 days after the execution of the Deed of Co-Ownership Termination.